Why bother? 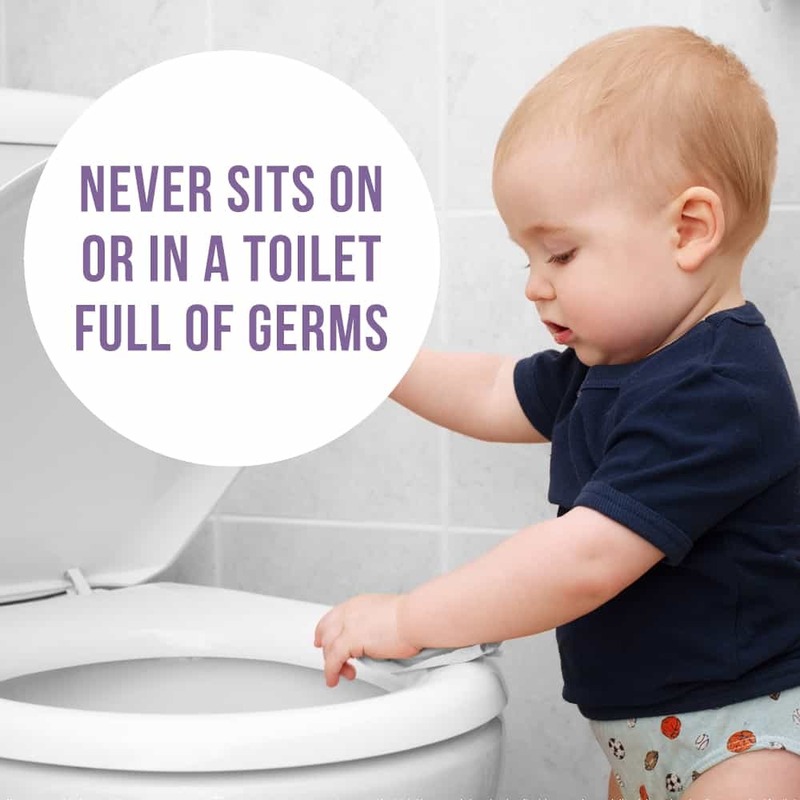 You have better things to worry about than inviting more germ exposure with anything that's so bulky you resort to sitting it inside your toilet bowl. 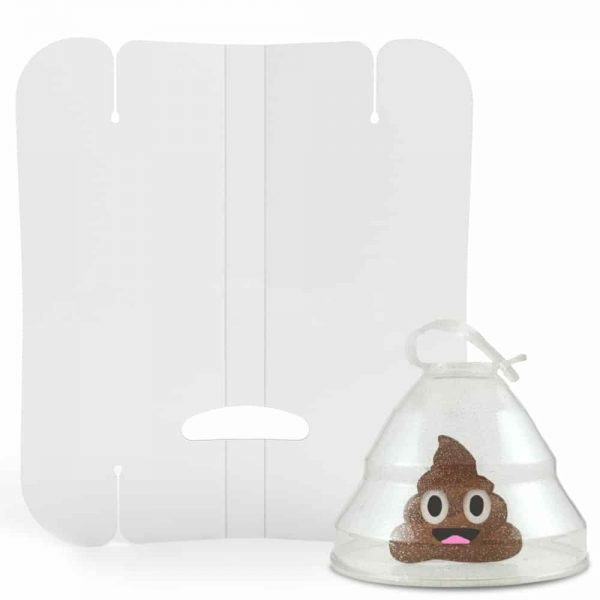 The Spray Collar is a simple, no fuss accessory that keeps nasty poop splatter within the confines of the toilet bowl when spraying down a dirty cloth diaper. 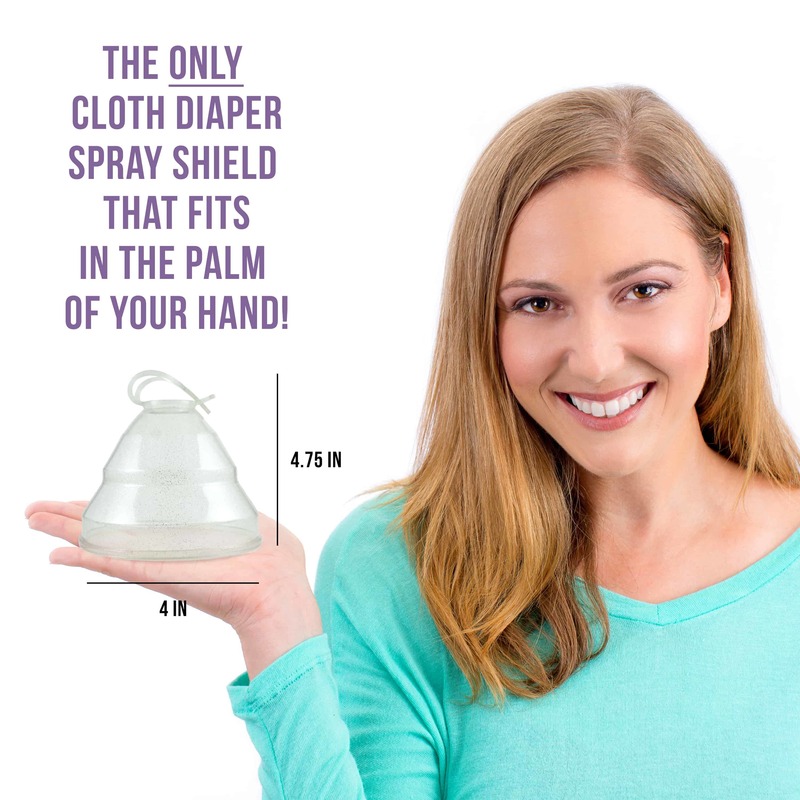 It's the only cloth diaper sprayer splatter shield that fits in the palm of your hand, requires no reassembly and has no toilet contact whatsoever. 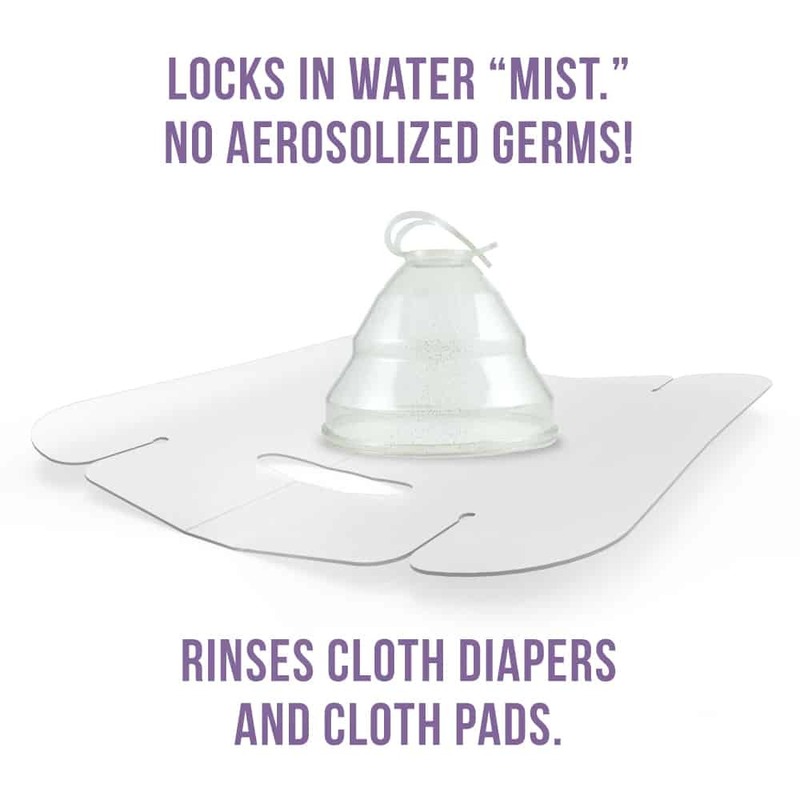 Combine with a pack of Finger Guards for extra Guard Dawg protection while holding a dirty cloth diaper – the Spray Collar never touches the family toilet and neither do you! 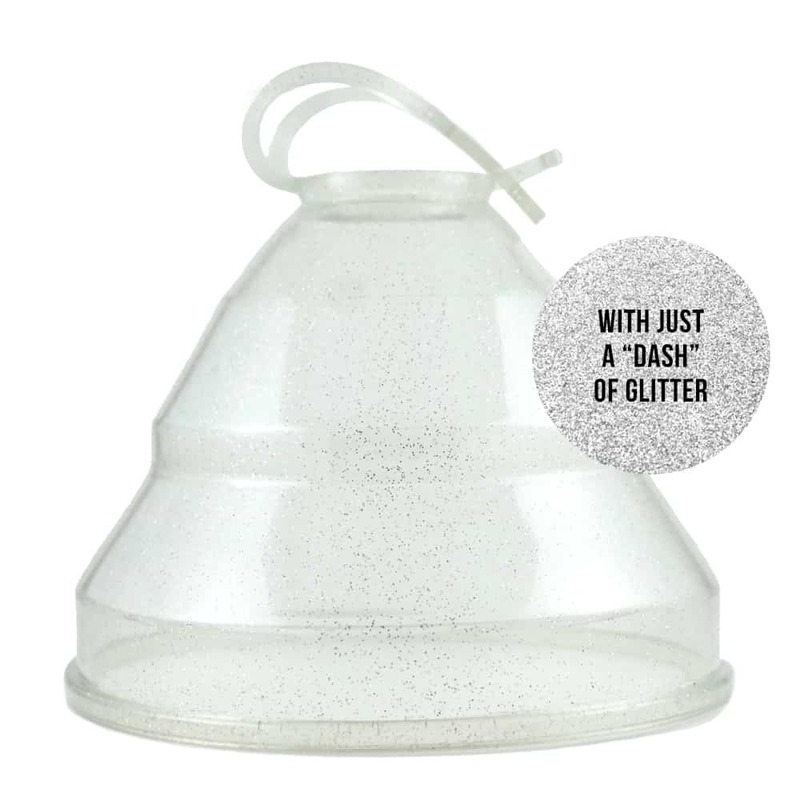 The Arctic Wolf Spray Collar still fits major diaper sprayer brands including BumGenius, Knickernappies, OsoCozy, Blueberry Flo, Bumkins, and Amp! Pick the perfect baby shower gift for a cloth diapering parent and clean crap in a snap with Diaper Dawgs – Attaboy! Place the Spray Collar directly over the area with the majority of the mess. Press the Spray Collar right up against the dirty cloth diaper. 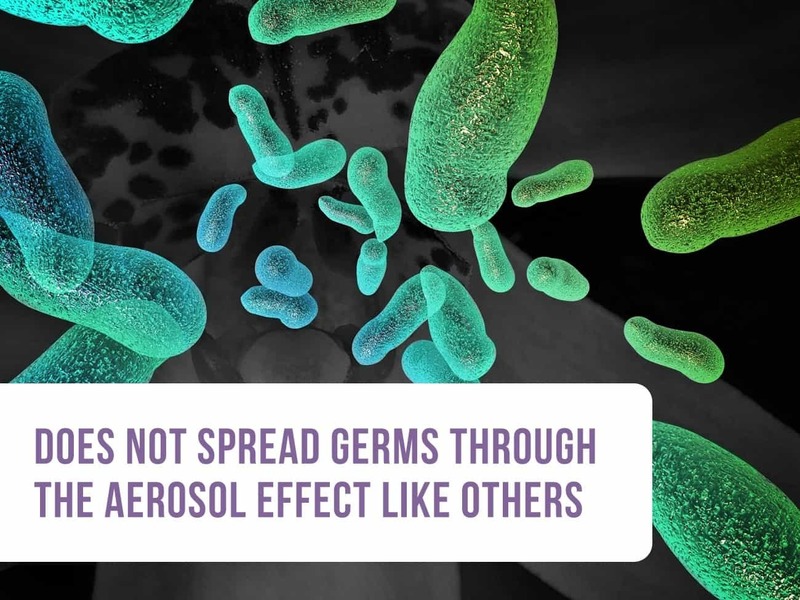 Once flush against a surface, there is no means of escape for particulate water spray or mist. 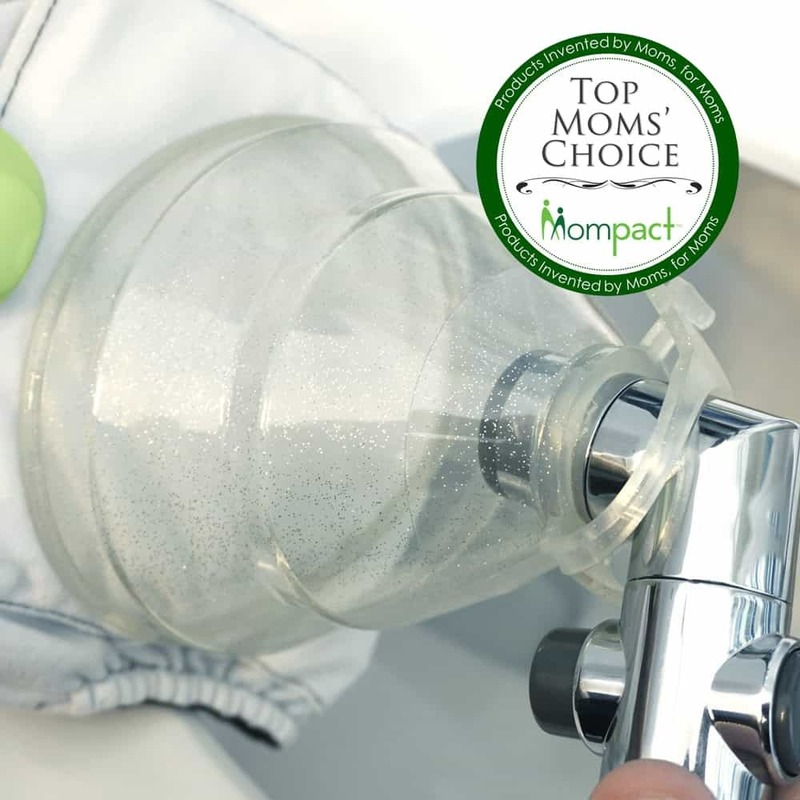 Once one area of the diaper is sprayed, take your finger off the diaper sprayer trigger, and lift the Spray Collar off the diaper to release collected waste water into the toilet bowl. Continue until everything is rinsed off as desired. 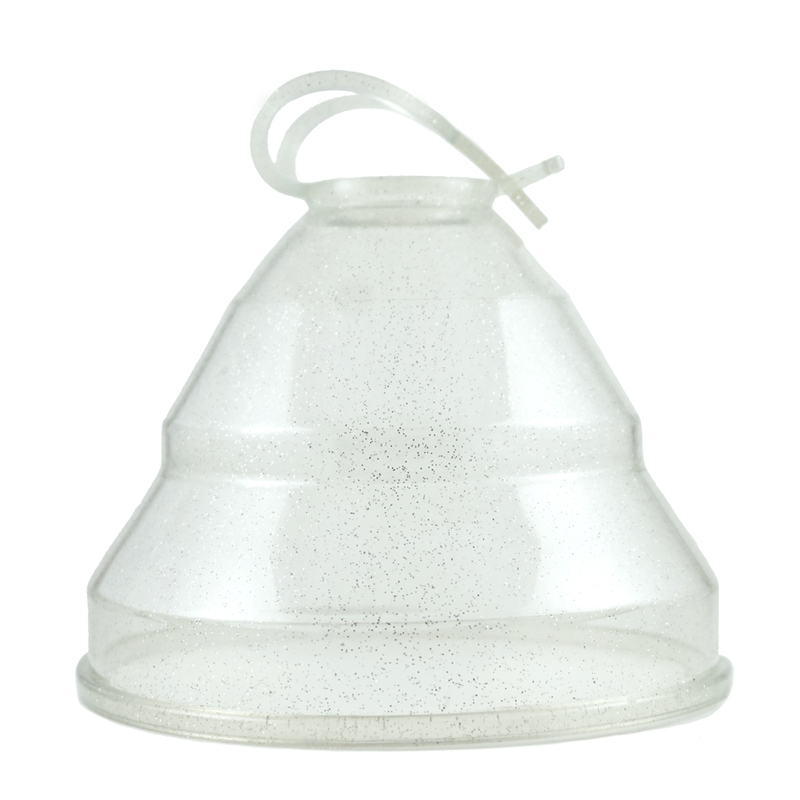 For stubborn gussets, push the diaper sideways into the body of the Spray Collar to rinse those areas while still sealing off water escape. You may encounter a smidge of poo along the rims when done. 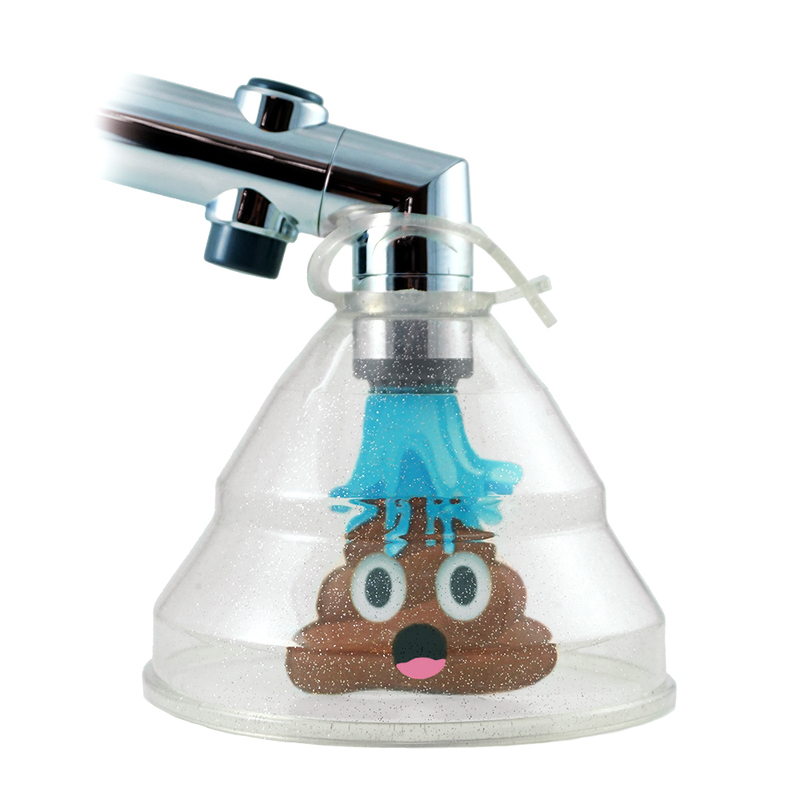 Simply wipe off with a square of toilet paper or cloth wipe, and spray with a disinfectant. Since the surface area of the Spray Collar is so small...there's a lot less to clean! 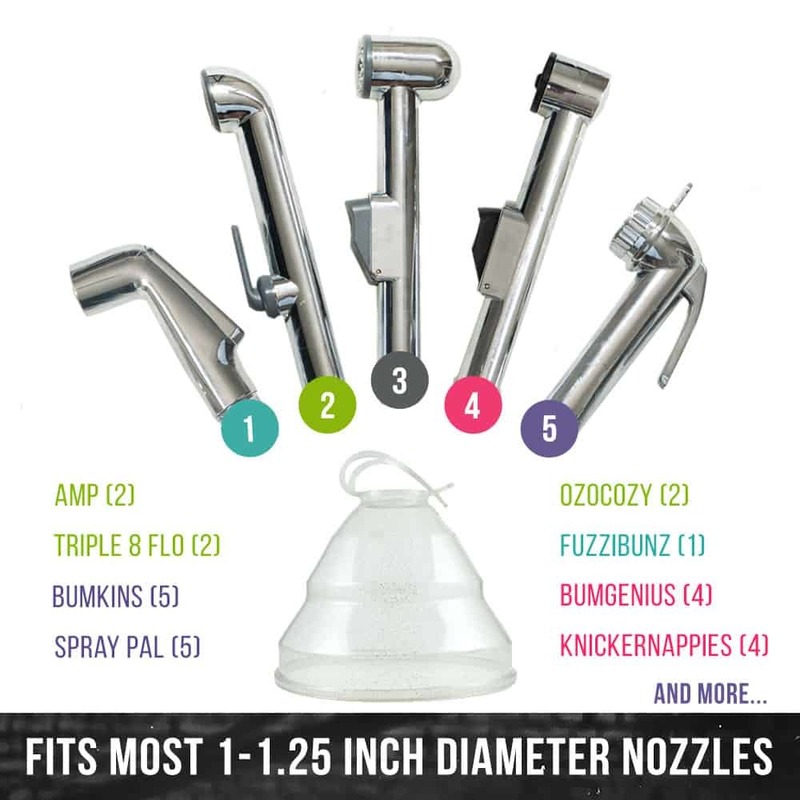 IMPORTANT: The Spray Collar DOES NOT FIT DIY diaper sprayers/qdSpray or the sprayer nozzle shape sold under Modona/Bumworks/Alvababy, SmartFresh, or the Aquaus brands.